This ad from Major League Baseball honoring Derek Jeter is perhaps the simplest, least epic tribute we've seen to the Yankees captain, who, barring an unlikely postseason appearance by the team, will play his final game this Sunday against the Red Sox in Boston. 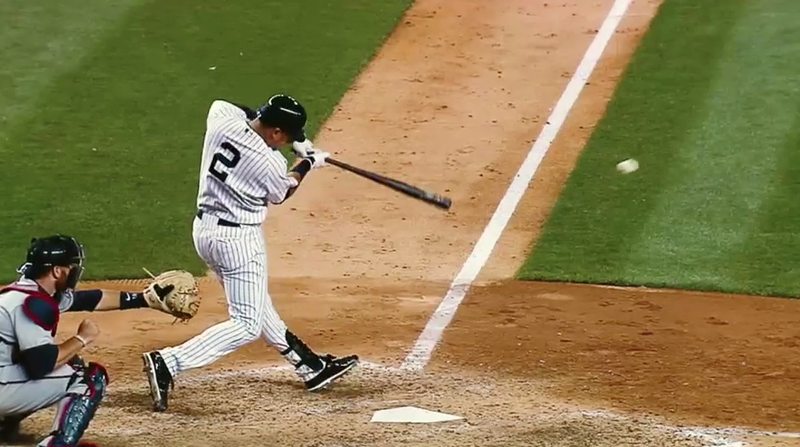 But for my money, the spot, from BBDO New York, is also the most poignant and moving Jeter tribute of the season, because it eschews grandeur and hype to focus on the future Hall of Famer's most important legacy: the generations who grew up idolizing No. 2. They're embodied here by California Angeles outfielder Mike Trout, the most complete player in baseball today, along with college and high-school stars, right down to Little League phenoms Mo'ne Davis and Marquis Jackson. In the low-key 30-second ad, we see youngsters copy Jeet's mannerisms in the batter's box and at shortstop, intercut with footage of the man himself, followed by the words, "A model of greatness. Thanks, Derek." During his storied 20-year career, Jeter has always given 100 percent on the field—and in an era when so many professional athletes capsize in controversy, agents of their own destruction, the Captain has sailed above the fray, celebrated for his dignified demeanor and respect for the game. Sure, it's an image. But that's the whole point. It's an image worth emulating, a model for success that transcends Jeter's many roles—team leader, five-time World Series champ, media celebrity—and gives kids hope that if they follow his example, they can overcome their struggles and achieve something great, whatever that may be. The Jeter paeans from Gatorade (made with his input) and Nike's Jordan Brand are each 90 seconds long and stand as suitably heartfelt, dazzling farewells to a player who's meant so much to so many for so long. The MLB spot goes deeper. It reminds us why heroes are important in an increasingly complex, confounding and cynical world, and gives Trout and his superstar peers a lofty standard—beyond wins, stats and multi-year contracts—to swing for.